Using data from NASA’s MESSENGER mission, astronomers created the first global digital elevation model (DEM) of Mercury, revealing in stunning detail the topography across the entire innermost planet and paving the way for scientists to fully characterize its geologic history. An animation of the new global digital elevation model (DEM) created from MESSENGER images. 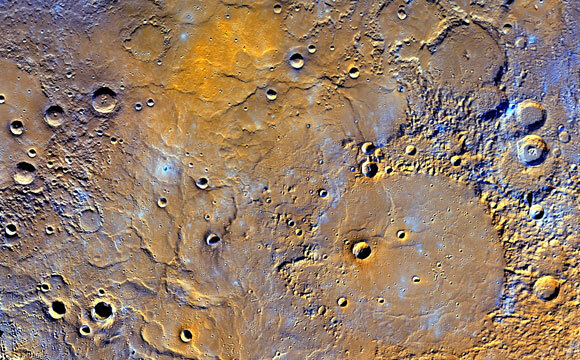 Mercury’s surface is colored according the topography of the surface, with regions with higher elevations colored brown, yellow, and red, and regions with lower elevations appearing blue and purple. A view of Mercury’s northern volcanic plains is shown in enhanced color to emphasize different types of rocks on Mercury’s surface. In the bottom right portion of the image, the 181-mile- (291-kilometer)-diameter Mendelssohn impact basin, named after the German composer, appears to have been once nearly filled with lava. Toward the bottom left portion of the image, large wrinkle ridges, formed during lava cooling, are visible. Also in this region, the circular rims of impact craters buried by the lava can be identified. Near the top of the image, the bright orange region shows the location of a volcanic vent. 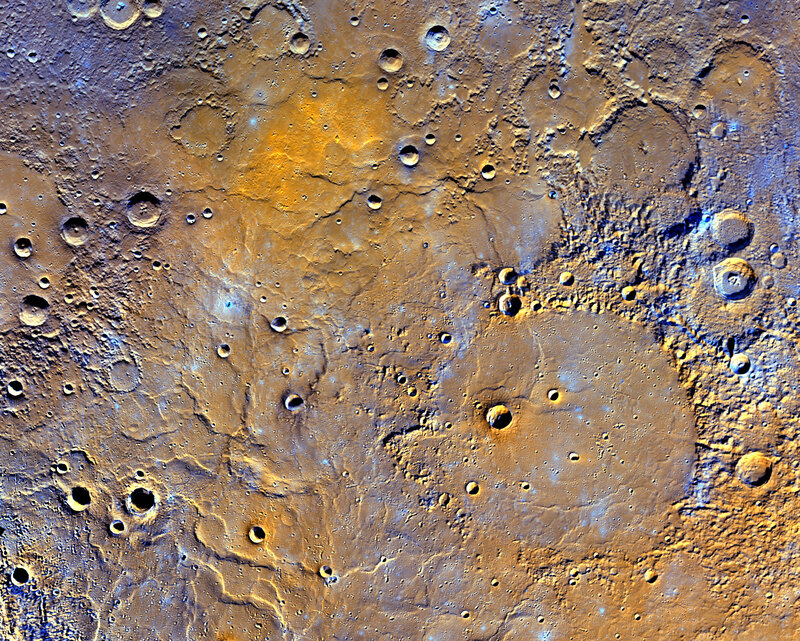 Be the first to comment on "Scientists Unveil the First Global Topographic Model of Mercury"